Home / Blog / What Should You Do if Your Doctor is Sued? Going to the doctor is supposed to be an event that helps us heal, rehabilitate from an injury, and overall make us feel better about our health (for the most part). It is ingrained in our minds from childhood that doctors are here to help us, no matter the areas in which they practice. But, what would you do if you ever found out that your doctor had been sued or is currently being sued? Discovering this type of news will likely cause you quite a bit of worry and stress. Is your doctor untrustworthy? Has your doctor hurt patients in the past? Before jumping off the deep end, you need to take a couple of things into consideration. The first thing you must do when you find out your doctor has been sued is to look at the lawsuit. It’s best to determine the reason for the lawsuit before you decide whether or not you will stop using the doctor for your care. Many doctors are sued due to the administrative workings of their office. Others are used because they failed to renew their license to practice by the deadline. Then there are doctors who are sued for personal reasons, such as defaulting on a loan. The doctor might have been sued related to a family squabble or because he or she was at-fault in a personal injury accident. None of these reasons have anything to do with the medical care of their patients. The next thing you will want to do is check the status of the lawsuits filed against the doctor. You might find that many of these lawsuits were tossed by the court or even dropped by the plaintiff who filed. Pay close attention to any lawsuit that reached court and wound up in large payouts to the plaintiff. You will also want to check if any of the lawsuits resulted in a settlement deal with the plaintiff. These are red flags that you simply cannot ignore. 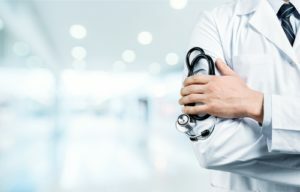 If you come across a pattern of lawsuits against your doctor as well as settlements, it’s possible that the doctor has trouble running their practice or providing exceptional care for their patients. Now that you’ve found lawsuits, settlement agreements, and a pattern involving your doctor you need to make a decision about your care. Should you continue to see this doctor knowing that there could be an issue with the way they practice medicine? Or, do you pull your records from the practice and find a new doctor? This is a decision that you must make on your own based on the information you found. It’s also might be a good idea to speak with an experienced medical malpractice attorney about your doctor. The attorney might be able to shed some light on a situation such as this and help you make an informed decision. Were you or a loved one injured due to medical malpractice in New Jersey? Then you need to talk to an experienced medical malpractice lawyer as soon as possible for guidance on how to proceed. The Morristown medical malpractice attorneys at Hoyt & Hoyt are prepared to assist you with your legal claim. We represent victims of negligent surgeons, doctors, nurses, and pharmacists throughout NJ including Woodbridge, New Brunswick, Boonton and Edison. Call us today at 973-292-2299 or email us to schedule a consultation. Our main office is located at 67 East Park Place, 5th Floor Morristown, NJ 07960 and we also have offices in New Brunswick.